Costco + Cary typically equals an over-extension of the budget ... 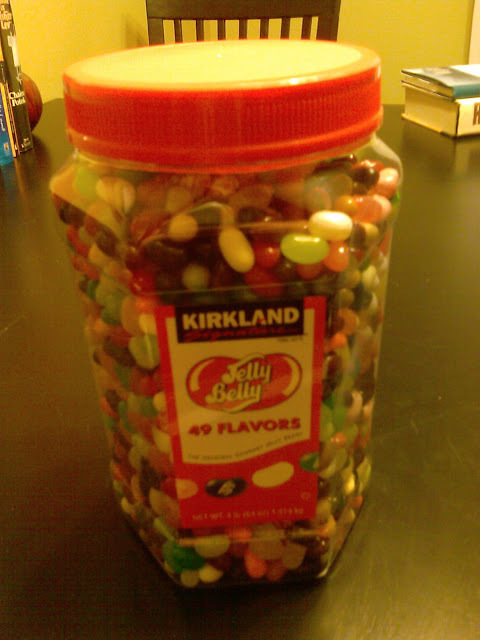 But this time, it meant Jelly Belly goodness. You can come have some when I've eaten all but the black licorice. I can't help but love these darn little things besides being vegan and having the horsey hoof gelatin in there somewhere. We saved the coupons for the big screen TV, king bed, and leather chairs for a day when the cash flow flows.